Operating 7 days a week, all year round except Christmas Day. Variation to service times on Boxing Day and New Year's Day. Want to know where your Air Decker journey begins? View the route to find your nearest stop! Your journey isn't restricted to the airport and back. 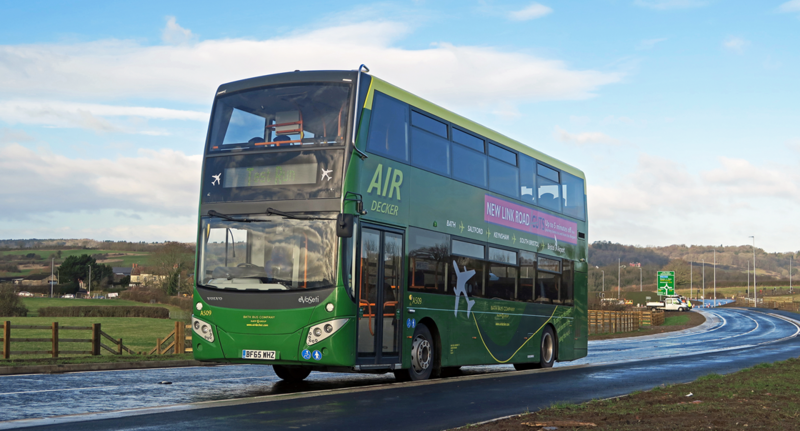 Hop on board the Air Decker which serves every stop along the route, to go shopping or socialise with friends, connecting Bath to Saltford, Keynsham and South Bristol. Ensure you make your flight or arrive in time to meet and greet! Live arrivals and departures information available here. Download the Bus Checker app to your mobile device, locate your stop and search for the A4 service. Service disruption – 18/04/2019 Unfortunately the 12:30 Bath to Bristol Airport service will not be departing from Bath City Centre, and will begin its journey at Corston. Apologies for any inconvenience caused.